The cash pot for the Joe 90 draw on the third house of bingo each Tuesday is now up to £980. 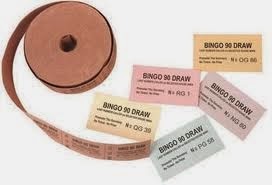 The bingo machine is used to choose a random number. If that number is the same as the one which wins the house then that player wins the jackpot. The holder of the winning ticket gets £30. All tickets must be sold before the game can be played and you do not have to play bingo to win the £30 prize. Currently, all tickets are being sold every week and the decision has been made to cap the prize at £1,000. A secondary cash pot will be started if that level is reached. Bingo starts at 9.00pm on Tuesday nights and the third house costs £1.50 to play.